I left South Africa two years ago with an insatiable thirst to explore it more. The people, the land; it got under my skin. It felt so incredibly special and unlike anywhere else in the world. In part, this was because of an unforgettable visit to Babylonstoren. It’s a place that drew me to come back to South Africa for a second time and upon checking in it felt like returning to the promised land. 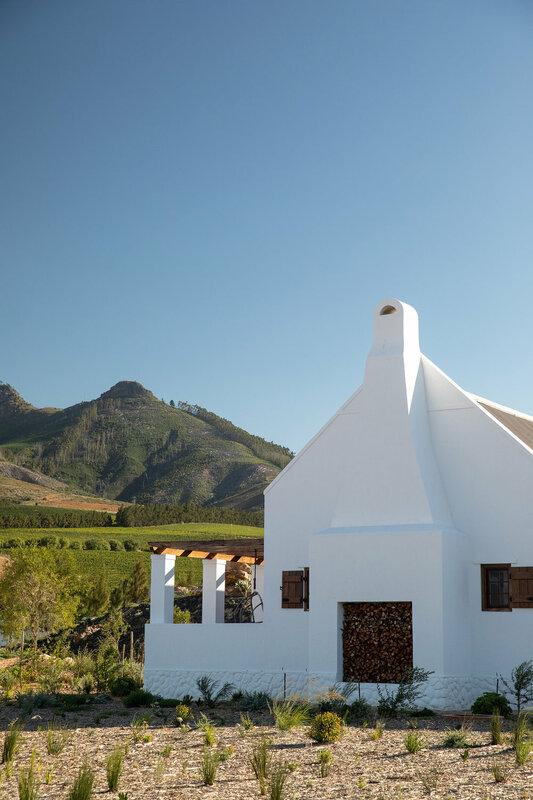 This time I’m staying at Babylonstoren’s new Fynbos Cottages, which are self contained and situated up the hill on the property, giving complete seclusion and sweeping views over the vineyards. 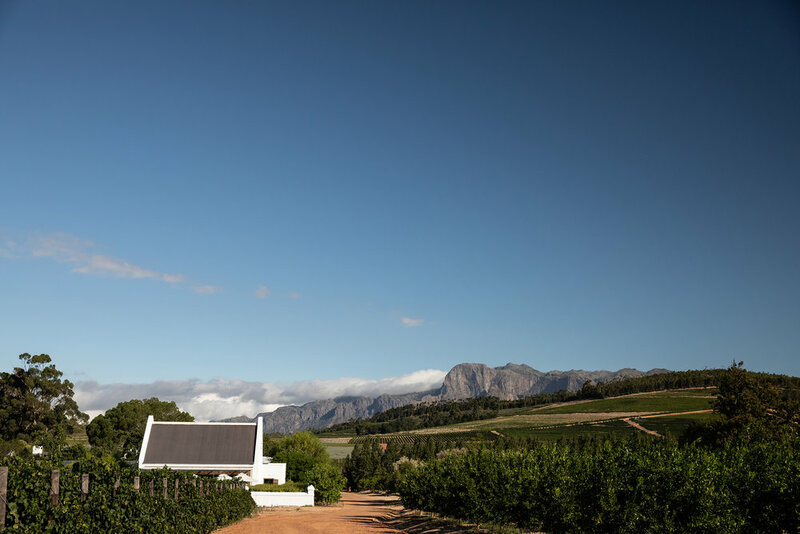 Stocked with Babylonstoren’s own wine selection, I perch myself on the patio and take in the spectacular sunset. Inside there’s a white on white four poster bed and a deep tub that beckons a soak infused with Babylonstoren’s signature blend of herbs from the garden and salt. If you feel like an afternoon snack there’s a kitchen with nibbles and home grown fruit in an open glass room that lets you bathe in the light in a hanging chair. The cottages come with their own communal pool, which sits deep-set in Palm Springs style landscaping. 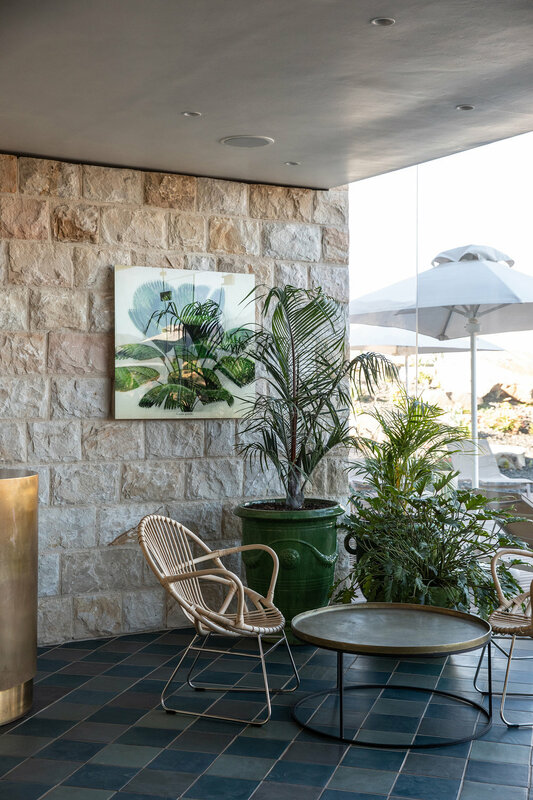 There’s a warm spa and brass outdoor showers, where you can quite happily set yourself up all day with a good book with a help yourself open bar. Each cottage is allocated it’s own golf cart and we whizz down for dinner at Babel, the hotel’s award winning restaurant. The menu is centred around what’s in season from the property’s garden and tonight plum takes centre stage. We’re greeted with a plum lollipop before grazing on a feast full of fruit and vegetables of all colours of the rainbow. There’s a wonderful no waste approach to the menu. I spot peach skins in my baked yoghurt desert that were most probably from the whole peaches in my appetiser salad. It’s all fresh and incredibly delicious. Accompanied by wines from the Babylonstoren selection we roll in to bed thoroughly happy. Breakfast the next morning is a farm table spread of fresh baked croissants, figs, melon and a smattering of weird and wonderful fruits and vegetables we’ve never even heard of. We decide to walk it off with a garden tour. 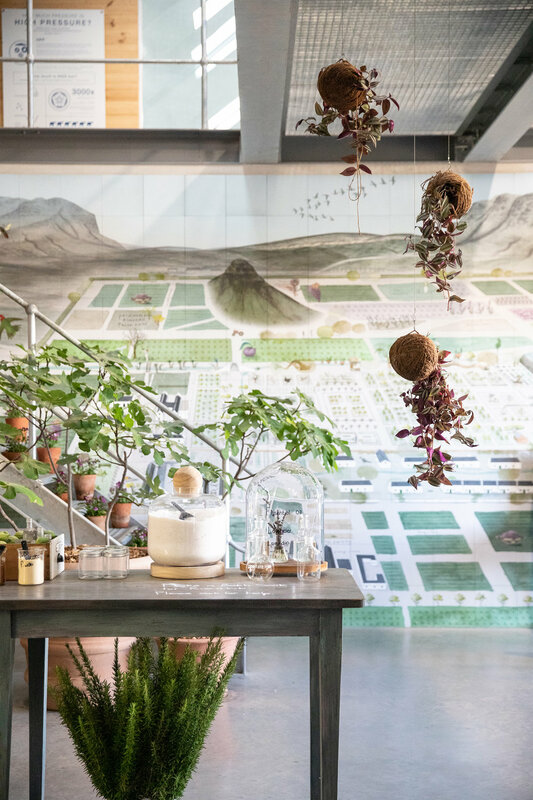 Our guide takes us through Babylonstoren’s beautiful grounds educating us on everything from the tiny herbs to the giant citrus trees. 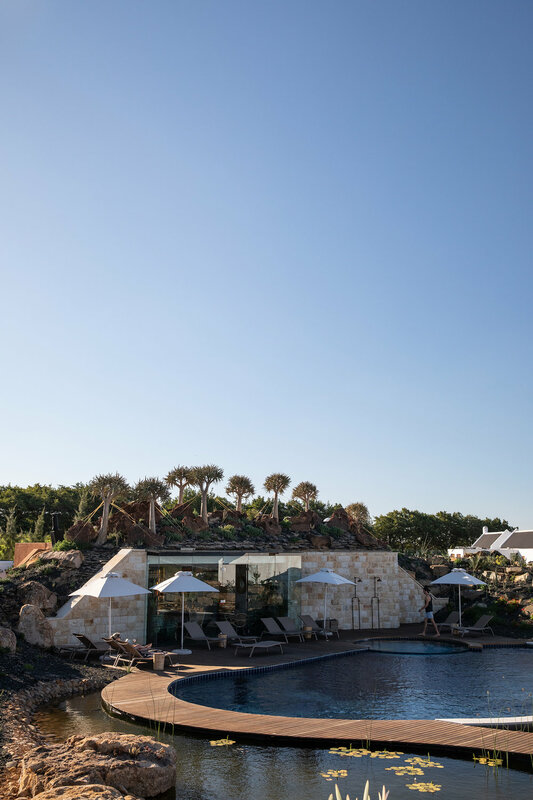 After a long walk in the sunshine, it’s time for some rejuvenation and we head to Babylonstoren’s spa. We’re served herbal tea and stretch our legs in a beautiful light filled relaxation room before our massage. 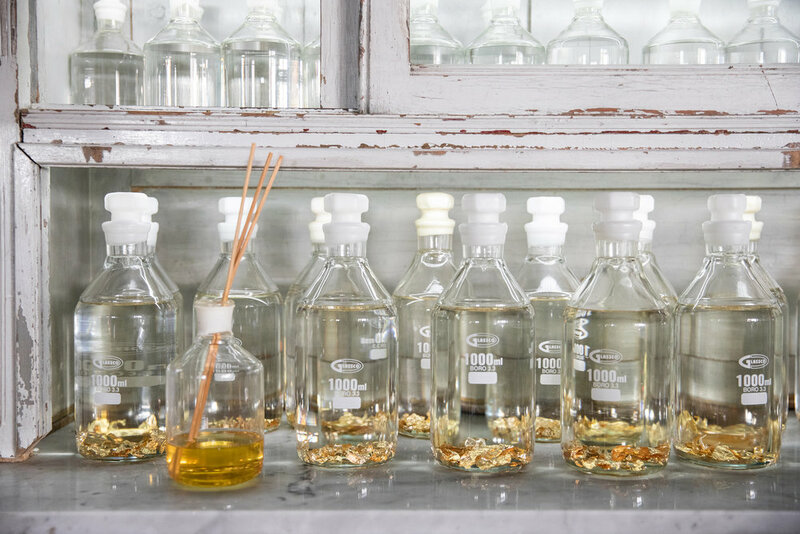 Therapists use organic oils from South Africa to send us in to a deep sleep whilst relieving aches and pains. Come mid-afternoon we’re ready for a nibble and book in for a wine tasting in the winery. It’s a beautiful light filled space with ceiling to floor glass windows overlooking the vines. We order a platter to accompany our tasting which is a board overflowing with multi-coloured carrots, avocado, breads, pesto, olive oil and cured meats. It’s more than enough for lunch for two people and its the perfect way to round off the day before a sunset dip. There’s not a cloud in the sky and the sun beams down us as we float in the pool. Perhaps this really is the promised land. We were guests of Babylonstoren.